The scattered hamlet of Tanrallt on the edge of the Snowdonia National Park is some eight miles from Caernarfon and six miles from the coast. It grew during the nineteenth century with the development of the slate quarries and mines. Among the most celebrated members of the former Chapel was the poet Mathonwy Huws. 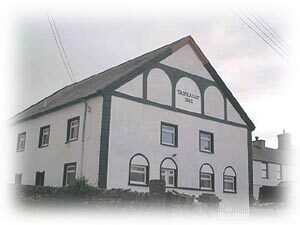 The building is now used by the Tanrallt Mountain Centre.